Sendible will be hosting a Webinar on 27 September 2012 specifically designed for higher Education establishments to allow them to see how powerful the Sendible social media platform could be in targeting potential applicants. Many traditional universities, both redbrick and post-war new universities, make very similar claims, based on teaching and research, and offer very similar courses. Post-1992 universities tend to be oriented more towards the world of work, and have a more vocational leaning. The supply side of higher education is, therefore, crowded with groups of broadly similar offerings. This may not have been an issue in the past but the increase in tuition fees, and ever growing international competition, is directing the spotlight onto higher education marketing as never before. A fundamental change in the attitudes and behaviours of students, parents, and schools, introducing new criteria by which universities will be judged, will result in a much more financial and commercial edge than has historically been the case. Higher Education institutes are finally embracing the use of social media and social media management tools as way of directly contacting University applicants. This may be a way to enable the message of ‘we are different’ to directly reach potential applicants. 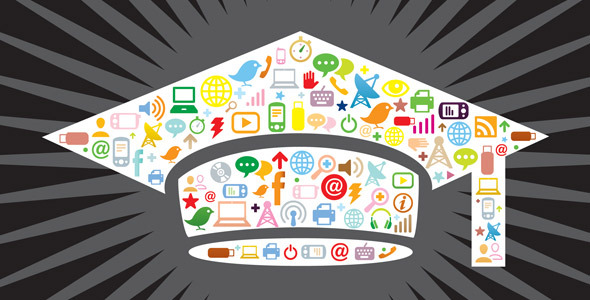 The audience for Higher Education, and so Education Marketing, is students between the ages of 16 – 21 and it has been shown that 75% (Higher Education in a Web 2.0 World, 2009) of that target market regularly use Social Media as a way to communicate. Many Higher Education institutes are using Social Media within its digital marketing plan in a number of ways; hosting videos on YouTube, running their own Twitter page, a profile on Facebook, campaigns through Bebo and profiles on LinkedIn. Research has showed that these digital marketing plans are coming from the early adopting few and has little of the systematic and coordinated approach of the more traditional communications media. The nature of the using these media are that they encourage social networking and should be presented within any digital marketing strategy as elements of a single plan. Too many higher education institutes allow different people to use different tools to reach the same audience, not presenting the cohesive marketing plan. 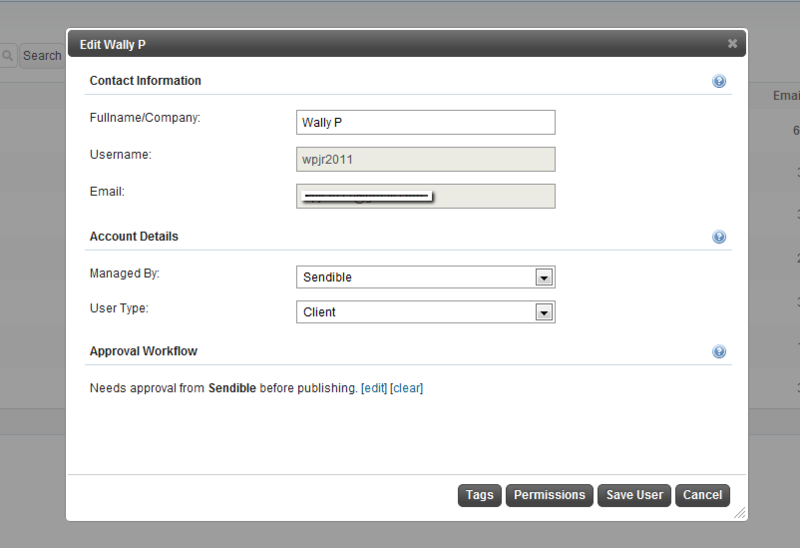 Sendible provides answers features such as our workflow approval ensuring a consistent message through all communications this feature can span throughout an organisation. A lot of our users have been requesting the ability to attach links and images to messages they import using Sendible’s bulk CSV message importer. 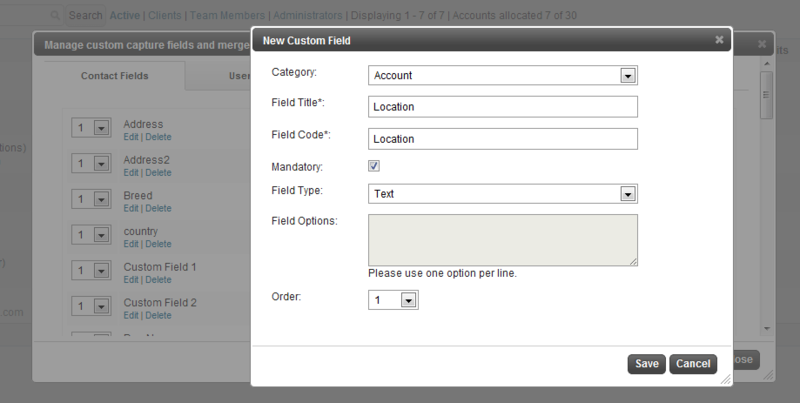 We have now made this possible with the addition of two new fields: URL and Image. – Message (required): The body of the message to be imported. 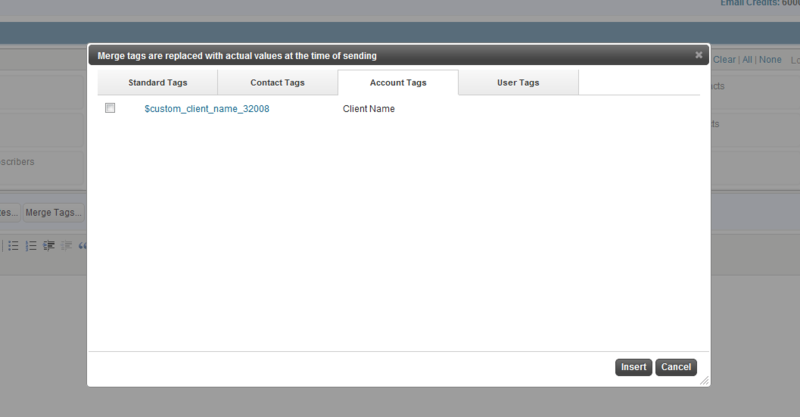 – SendDate (required): The date the message should be sent. Formatted as yyyy-MM-dd HH:mm. – Subject (optional): The subject/title of the message. – URL (optional): The URL to be attached to the message. Always include http://. – Image (optional): The URL to an image to be attached. Always include http://. With one of the most memorable games of our time coming to a close last weekend, social media has stood to become a key indicator in gaging the public’s reactions to the games and any controversies that have ensued. The most notable eruption on the social media sphere was with regards to NBC (the US television network) – Its lack of coverage to US audiences of the full opening ceremony and the decision to delay transmission of the Games so that it could maximise its advertising revenue in primetime had sparked ridicule from TV critics and outrage from the US public. Social media has become a powerful tool for users to vent anger and frustration as well as celebrate and commemorate the games. The medium has come a long way since Bejing in 2008 then Facebook was still in its infancy stages with just 100 million users. Now, the network has surpassed 900 million. A similar story can be said for Twitter – six million users were on the service in 2008. Now, over 600 million have signed up. The social emphasis on these games hasn’t gone unnoticed during the Olympics and Paralympic games Twitter is being harnessed to display the huge pride in the achievements of Team GB’s Olympians by lighting up the EDF Energy London Eye. Tweets that are centred around the Games will be analysed throughout the course of the Olympics, and will use those tweets to power a spectacular light show at 9 pm and 10 pm every evening. Using the Sendible social media dashboard, the monitoring feature can analyse the whole of the social web, generating data from many sources (not just Twitter). These sources can be from; blogs, microblogs, social networks and even comments on sites such as YouTube. 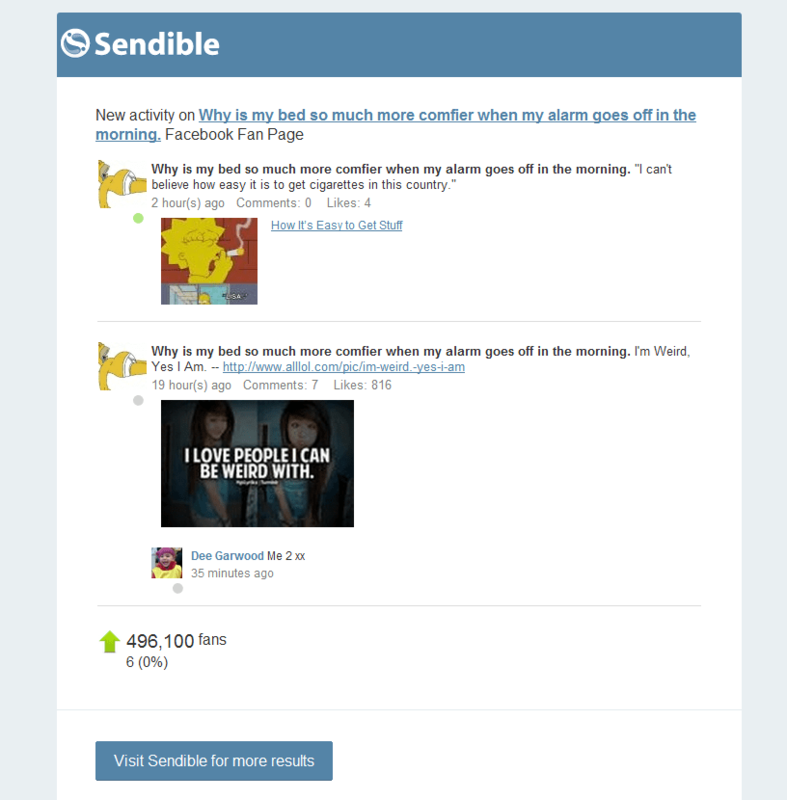 Sendible’s unique algorithm scores the sentiment of each individual post by looking out for key words and phrases. 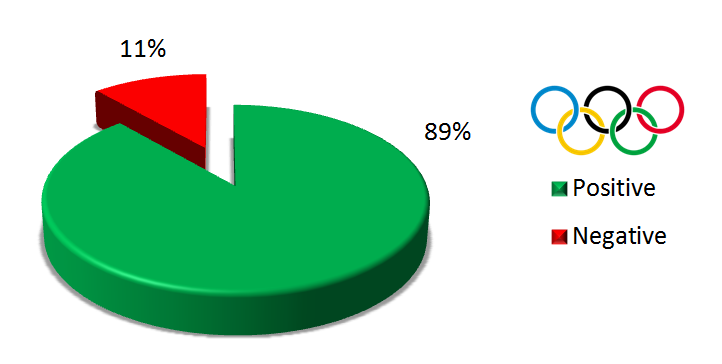 Overwhelmingly the games look to be a success with the positive buzz around the games generating a rating of 89%! Social media websites can be used to build up even the smallest business’s brand through establishing an online presence that can reach a broader audience than otherwise possible using traditional means. You can use your social media presence to reach and inform not only your customers but also the people close to your customers. Furthermore, your social media presence gives your customers a chance to participate in a community revolving around your business and gives you the chance to directly influence their opinions. However, your social media presence should not be the only marketing method that you use to spread word of your business because its effects are that much greater when combined with other methods such as emails and SMS messaging. It is vital to remember that sending emails and SMS messages to people is a bad idea unless you have their explicit permission to do so. Not only is spamming people aimlessly highly irritating to them and almost certainly damaging to your business’s brand, but it is also illegal in many places and likely to cost you once you are caught. Instead, the best way for you to use email and SMS messaging is to get permission through your social media presence. Telling people to sign up for news about your products and special discounts is an excellent way to get permission so long as you do not abuse that privilege. Once you have permission to send your customers and potential customers emails and SMS messages, you can start using those methods to market to them. Good emails and SMS messages are short but big on meaning because most people are unwilling to read anything that is too long or too boring. Instead, emails and SMS messages are best used to bring them to your business for further information and marketing. This is particularly effective if you adds calls to action such as time-sensitive discounts to your emails and SMS messages. Under ideal circumstances, you’ll want to use your social media presence to tell people about your business and have their first impression be positive enough that they agree to let you send them emails and SMS messages. This way, even though not all customers and potential customers who come upon your social media presence will stay and become part of your dedicated customer base, you’ll always have more chances to bring them in. Each time that you have a sale, a promotion, or a new product that you think your potential customers will be interested in, you can send an email or SMS message to tell them about what is happening at your business. If your message is sufficiently interesting to them, that will bring them back to your social media presence where you have a second chance to sell your product to them and possibly win their loyalty as a dedicated customer. Ultimately, your goal for your social media presence should be to integrate it seamlessly with the rest of your marketing efforts. If you can accomplish this with email and SMS messages, you’ll be able to use the brand value built up using your social media presence to repeatedly impress your customers and potential customers in a loop of positive reinforcement. Alan Li is freelancer based in Toronto who has spent time working with local companies venturing out for the first time onto the Internet. He enjoys contributing to several resources including Degree Jungle a student information portal. Schedule content – Not everything has to be written on the fly. In fact, most things shouldn’t be. Be sure your package lets you set up a schedule for your content. Then stick to it. Your content will improve. So will your working hours. Post easily – Be sure you can easily get your message out to all the obvious names in social media. Most tools available do the job nicely. But it always pays to be sure. Upload multimedia – More and more brands are adding video to their posts. If your software can’t handle video, you’re defeating the purpose of buying a management tool. Be sure the tool you select enables this important task. Geo-target – Some tools allow it, some don’t. Remember, a happening in one city is going to leave the rest of the country out in the cold. Used properly, geo-targeting gives your marketing efforts pinpoint accuracy. Match Facebook and YouTube Insights – You should be able to get that information on the same platform you use to post. It’s an available function, but not a universal one. Analyze Twitter – Yes, it’s a complex function. But basic Twitter data, such as impressions and clicks, should be accessible. Analyze the competition –Some tools make competitor’s Facebook data available. It may not be critical information, but it’s certainly valuable. Does your mobile device play nice with your SMMS? If it doesn’t, it soon will. Or it should. Unless you never leave your computer, consider this capability very seriously. Merging customer and social content data can be useful. It’s another function you may want to consider. Your choice of an SMMS tool can make your job a lot easier, or considerably more difficult. Base your selection on these parameters and you’re likely to pick the tool that suits your requirements. Today, Facebook pages are almost as common as business cards. This social media marketing tool turned phenomenon is everywhere. But the difference between one-time visitors and fans can be a big one. Although there are many ways to build your Facebook fan base, here’s 10 to get you started. If your email list lets readers opt-in, use it to invite them to your fan page. Spread the invitation out over time and you can even ask more than once. It’s also a good idea to describe your page and give them a reason to join. It’s also a good idea to include a link to your fan page in email. Make it part of the signature block and it will be seen without detracting from your other messages. Post photos taken at promotional or sales gatherings and you’ll help give your fan page a human face. Then ask your visitors to tag them. Facebook takes care of its own. You can buy highly-precise, and relatively inexpensive, advertising right on Facebook itself. Click the “Advertising” link at the bottom of any page and go from there. Visitors can become fans by clicking on the ad, even before they visit your page. Link your fan page to Twitter and you automatically share content on both sites. Stay inside Twitter’s 140 character limit if you can. Or use the 420 characters Facebook gives you, let them shorten your post, and link it back to your fan page. Chances are you still use print in many aspects of your business. Add links to your social media sites on everything printed, from letterhead to magazine ads. If bricks and mortar are part of your company, be sure you have signage that lets all your retail customers in on your fan page. Encourage them to join in-store by offering an immediate incentive from a store employee. Used in moderation, including an @ tag as a sign-off when you write on a friend’s wall can attract fans. It’s a lot less heavy-handed than including a complete signature block. You can use the same technique, again with restraint, when you post on someone else’s fan page. Stay away from competitor’s pages though. Most companies and their brands are now waist deep in social media engagement. But mistakes, both well-intentioned and not so much, are being made. Since avoiding mistakes is a lot easier than correcting them, here’s 10 sure-fire social media slip-ups to sidestep. Everybody likes a deal. But discount everything all of the time and you look more like a huckster than a marketer. Your brand and your customer’s relationships with it will both suffer. 2. All Contests All the Time. Likewise, everybody likes a little fun. But unless you’re an online game site, endless contests are going to dilute customers’ engagement and take conversion metrics along on the downward spiral. So you’ve set up a social media site? Congratulations. But don’t expect customers to look for you. Actively publicize and market your site. Remember, the first step to a sale is letting people know what you’re selling. 4. Nothing but Good News. Nobody bats .1000. Not even your brand. If someone makes a negative comment on your site don’t just make it go away. When you do, you diminish the value of positive comments. Be sure you also address the problem and talk about your fixes. 5. Going on Too Long. Highly-detailed press releases and long-form videos have a place. But your social media site isn’t it. Too much content runs counter to the short-attention-span the Web encourages. Long messages usually make for short visits. A discount from one division or department means the same discount from another division or department. Make sure there’s a way to unify promotions and discounts on a company-wide basis. If you don’t, expect to do a lot of explaining. 8. First Spy, Then Ambush. Everybody follows consumer behavior on their site (or should). But when you pursue visitors by email or phone after they visit you online you’re not marketing, you’re intruding. Lots of hang-ups and deletes are sure to follow. Once online, some brands assume their work is done. You know what they say about sharks that stop moving. 10. Fall in Love with Likes. Everybody wants to be liked. But a “like” button isn’t the same as a “purchase” button. Concentrate on being liked and you’ll almost certainly lower your return-on-investment. Social media can be a powerful marketing tool. Avoid these mistakes and you’re on your way to harnessing that power.